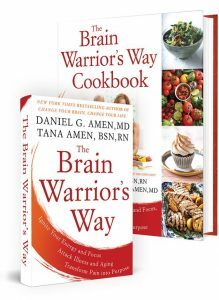 Tana Amen:	The Brain Warrior's Way podcast is also brought to you by BrainMD, where we produce the highest-quality nutraceutical products to support the health of your brain and body. For more information, visit BrainMDhealth.com. Welcome to The Brain Warrior's Way podcast. Dr. Daniel Amen:	Welcome, everybody. I am so excited to invite, and has accepted, a return visit to The Brain Warrior's Way podcast, Dr. David Perlmutter. David is a neurologist. He is a mega best-selling author of books like Brain Maker, and Grain Brain, that goodness, I think spent a year on New York Times bestseller list. He's a teacher, he's a practitioner, he's been a friend of Tana and mine. And David, it's just so great to have you back again. Dr. David Perlmutter:	I'm delighted to be back, and more importantly, delighted to get to spend some time with you. Dr. Daniel Amen:	Well, thank you so much. So, in the week we have with Dr. Perlmutter, we're gonna talk about foods that improve brain health, and we are gonna talk about the gut-brain connection, who knew? And we are gonna talk about how modern society is brainwashing us, to increase the incidence of both mental illness and neurological illness. Although I say those as if they're separate. They are clearly not. But David, tell our audience, as a neurologist, why did you get interested in food? When I did my neurological rotation at the Walter Reed Army Medical Center, nobody talked about food. In fact, they fed us, and they fed our patients, actually fairly low-quality food, not thinking it had anything to do with health or illness. Dr. David Perlmutter:	Well, I have to say that a recent publication came out, indicating that food really does play a critical role in how the brain works, written by, I think his name was Hippocrates. So, it's something that's been there for quite some time, that food is really central, thematically, in terms of the health and functionality of every part of our bodies. 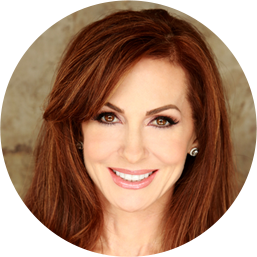 My desire to look for other tools for the toolbox, and ultimately, landing on food, as well as other lifestyle issues, really stemmed from a lack of satisfaction with my course of work, which was mainstream neurology, where basically, I was giving out pills, end of story, and dealing with the aftermath of tragic events, like stroke, and head injury, and you name it. But really, what got me the most, was dealing with the chronic degenerative neurological conditions, Alzheimer's, Parkinson's, etc., and recognizing that there was really nothing that we could do to help the situation, A, and B, that there was emerging literature, this is already 25 years ago, that was indicating, at least some correlation between lifestyle issues and risk for these diseases. In other words, paving the way for the understanding of the role of preventive strategies as they relate to brain health. And you said earlier, who knew? I found that to be extremely exciting. So that rather than trying to deal with just smoke, I could now focus on the fire. And diet became front and center. And it became very obvious that there was a strong correlation seen between people who were diabetic and risk for degenerative conditions, like Alzheimer's, more recently, Parkinson's. Dramatic increased risk, as much as fourfold, of developing Parkinson's disease, at least in the younger cohort, when looking at those who have, in fact, the diagnosis of diabetes. And this is a huge study on over a million diabetic patients, compared to about six million controls, a study done in England. But this relationship became very clear. Was it causal? Well, what I'm saying is, we knew that if you had high blood sugar, you had an increased risk of dementia. Was the high blood sugar causing the changes in the brain? And it took many years for that to unravel itself, and for those dots to be connected. And they ultimately were. We now understand many mechanisms that relate, diet, elevation of blood sugar to the fundamental mechanism of Alzheimer's, being inflammation. So now, those dots are extremely well-connected, and now the whole thing is self-evident. But back in the day, when we were advocating for a lower-carb diet, and telling people that, "You know what? Having some higher levels of olive oil, for example, more fat in your diet, might be a good thing," we didn't have all the answers, in terms of the why. But I felt comfortable enough, based upon the relationship studies that were correlative, showing there's a correlation between these things, that I could be making those recommendations. And ultimately, when we wrote Grain Brain in 2012, published in '13, we had been able then, to connect the dots. And I've found this to be hugely invigorating and exciting, and really a platform that allows me to touch a lot of people. Grain Brain's in 35 languages, now. So, a lot of people around the world are at least getting this information. What people choose to do with it is another story. Dr. David Perlmutter:	Well, let me not get too complicated, but I'm very fascinated by the, what's called the endocannabinoid system, which is certainly taking a lot of spotlight these days, because people are interested in medical marijuana, etc. But we understand that the type of endocannabinoids and their activity, the type that are manufactured, and their activity, is very much related to the balance between omega-3 versus omega-6. Now, we've been comfortable mechanistically over the years, saying that omega-3's help to reduce inflammation, and therefore may play a role in depression, which is an inflammatory disorder, that omega-3's, like DHA, help to stimulate BDNF production, in other words, enhance the growth of new brain cells. And that has also been associated with reduction in depressive markers. We know that the SSRI, antidepressant medications, also stimulate BDNF. We know that the omega-6's being pro-inflammatory, again, getting back to the type of oil, the type of fat that we consume, actually through their production of something called arachidonic acid, enhance the production of the major endocannabinoids. These are things like anandamide and 2-AG, which, when they stimulate the endocannabinoid receptors in the brain, increase appetite, increase the production of fat, reduce the release of fat, and ultimately, increase inflammation, again, a cornerstone player of depression. So, it's really interesting to watch how all these pieces are falling into place these days, as we branch out and open the door to more and more ideas. I mean, just opening the door to the gut bacteria a few years ago was a major change in focus for medical researchers. Now, looking at the endocannabinoids system, looking at, as we talked about earlier, at diet, at sleep, for example, these are non-patentable entities that need to be studied. No one can own them, so we don't see a commercial on television at night if we are watching the evening news, saying, "Hey, if you exercise, you will improve your insulin sensitivity, and improve your mood, and up-regulate BDNF, as well." You don't see that, because nobody owns it. But yet, that's the work. The work is to really let people understand that there's no pharmaceutical fix here that really has any impact. As it relates to Alzheimer's, in November of 2018, published by the Journal of the American Medical Association was a meta-analysis by a researcher by the name of Dr. Richard Kennedy. He analyzed the patient records of about 2700 individuals, as reported in 10 studies. And these are individuals who had diagnosed Alzheimer's disease, and either were taking the Alzheimer's medications, things like the cholinesterase inhibitors, or Namenda, Memantine, or they weren't. And what he found in comparing the two, was that the group taking the drugs for Alzheimer's had a more rapid cognitive decline. Published by the American Medical Association in November of 2018. To me, that's astounding. These are drugs being sold in America, close to $1 billion annually, to treat Alzheimer's disease, and they are associated with more rapid decline cognitively, on the ADAS-Cog scale. It's breathtaking to me that that wasn't something on the evening news, or the front page of the New York Times, that it got brushed under the carpet. Think of the faith that families put in their doctors, to do the right thing when mom or dad's been diagnosed, or husband or wife has been diagnosed. And to prescribe a medication, that now we know not only doesn't work, which we've known for many years, but is actually making them worse, it's like giving a diabetic a pill that's gonna raise their blood sugar, or a hypertensive patient a pill that raises blood pressure. And it's still happening, and these drugs are still being prescribed. And they are associated with worsening, either individually, or in combination with each other. Dr. Daniel Amen:	I just found it. Holy smokes. This is frightening. Dr. David Perlmutter:	Yeah, I'll send you the PDF after our time together. They say it's better to light the single candle, as opposed to cursing the darkness. A little cursing of the darkness right there. Okay, let's move past it, and let's light the candle. The candle is one that says that you can, today, dramatically reduce your risk for this disease, did I say has no treatment, by engaging some simple lifestyle changes. And you have talked about these changes extensively. They involve getting some aerobic exercise, eating a simple carbohydrate diet, making sure that you do what you can to get more restorative sleep, meditation, limiting stress in your life, making sure your vitamin B level is adequate, and by all means, taking a good DHA supplement, I believe. Or eating plenty of fish. So, these are all important factors that are dramatic, in terms of being associated with reduced risk for that dreaded condition. And that is, for me, a reason to be. Because that's gonna have the biggest impact, globally. I gave a talk a year ago, now, to the World Bank and International Monetary Fund. It was simulcast to 150 locations around the world, simply saying that Alzheimer's is, by and large, a preventable Condition. And by the way, is costing us today, over $1 trillion, more than the market value of Google or Apple, for a preventable disease. So, we've really got to focus on this notion of the ball being back on our side of the court. It's not up to doctors to figure this one out, and the researchers, and then make a magic pill for us. It's much more about what we do today, and that's where the education part comes in play. 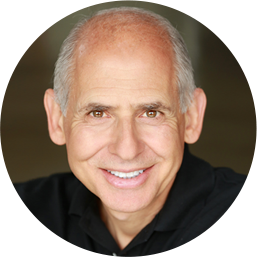 Dr. Daniel Amen:	And wouldn't you say it's not only Alzheimer's disease, that it's also depression, it's also ADHD, it's also many neurological disorders like Parkinson's, that by looking for a pill for every problem, we're really thinking about this in the wrong way, that we should be attacking all of the risk factors that in fact, steal your brain, which then steal your mind? Dr. David Perlmutter:	Without a doubt. There's a cartoon I use in my presentations. It has two doctors. One's on the roof with a great big valve, pouring water into the house, where the other guy, no doctor's there, with a tiny sponge and a bucket. We've got to attack the problem at its source, as opposed to treating the aftereffects, treating the downstream manifestations of our lifestyle choices. The World Health Organization has identified chronic degenerative conditions well beyond the brain, as being the number one cause of death on our planet now. It isn't war, it isn't infectious diseases, it isn't death in childbirth, it isn't, we said infections, it isn't malaria, other infectious issues, it's chronic degenerative decline in health. Alzheimer's, coronary artery disease, cancer, diabetes. And these are conditions that are basically, dare I blame somebody, these are choices. These are choices that people make, in terms of the lifestyle issues that we have now discussed. And again, that's the mission. If we can help reduce the number one cause of death on the planet, that's really a good thing, from not only the morbidity/mortality aspects of it, but from a financial consideration, as well. So, it's this Westernization of diet and other lifestyle issues that we are seeing spread around the globe, that is taking its toll. Predicted, whereby the increased prevalence of Alzheimer's in Eastern Europe, going from 2015 to 2050 is predicted to increase 26%, in Africa, it's predicted to increase over 380%. And it's not that there's suddenly been a genetic change. No, it's the lifestyle change, this Westernization of diet and lifestyle, that's happening around the globe, where people have abandoned their traditional food sources, which have sustained them for centuries, if not longer. It's this idea of foods that you mentioned earlier. There is a cost. Dr. Daniel Amen:	So, as we go, so let's go to the next podcast and talk specifically, about foods to choose, and foods to lose. And we have to talk a little bit more about marijuana. I just published, I don't think I sent it to you, I just published a study on 62,454 scans. I think it's the world's largest study, where we looked at how the brain ages from nine months old to 105. And it's not good news. The older you get, the sleepier your brain gets. And schizophrenia aged the brain the fastest. But the second fastest was marijuana use. It was really interesting. But anyways, we will be back. And we're gonna talk a little bit more about foods to choose and foods to lose with Dr. David Perlmutter, whose five-year anniversary of his groundbreaking book, Grain Brain, has just been released. If you haven't read it, you have to. It will change your life, in a great way. Stay with us.